This tea kettle will add fun to your kitchen and bring a smile to your face every time you boil water! A whistling feature lets you know when your water is ready. 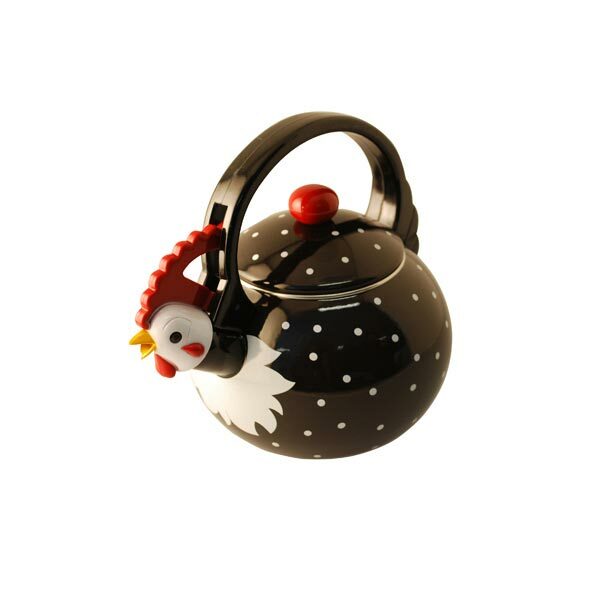 Made of enamel on steel (both inside and out) and the handle, spout and lid knob are made of heat-resistant plastic. 11"H x 8"W x 4 1/2"D.